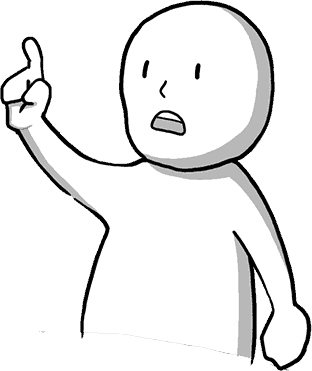 Check out the full rule set below or see the faq page. 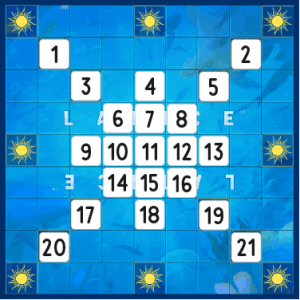 The goal of the game is to be the first player to play all of the tiles from your pool, taking advantage of special tiles and squares on the board. Put all tiles face down and shuffle them. Divide them into even player pools. 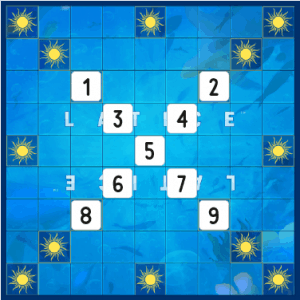 Each player draws five tiles from their pool and places them on their rack. 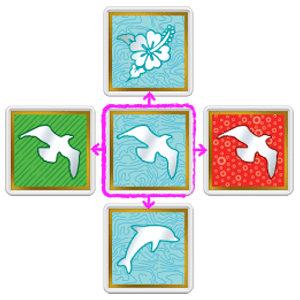 If you prefer more skill and less luck in your game, shuffle the colored tiles separately from wind tiles when starting the game and divide them into even player pools. 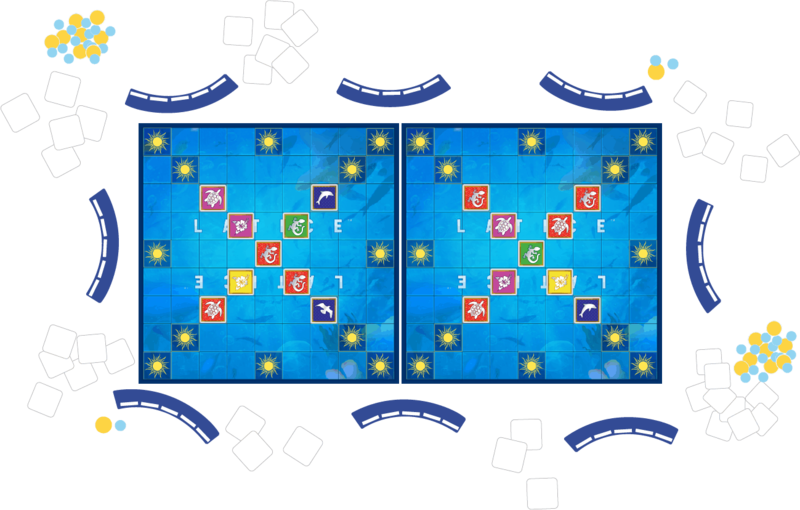 Then, equally distribute wind tiles to each player and have them shuffle the tiles into their personal pool. The youngest player goes first by placing one tile from their rack on the center (moon) square and then completes their turn by drawing one tile from their pool. 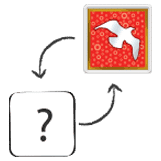 You can use a move or spend stones (1 Sunstone or 2 Halfstones) to exchange some or all of your tiles for new ones (no peeking). what if I can’t play any tiles in my rack? if you can’t place a tile or make an exchange, you have to pass. At the end of every turn, draw tiles from your pool so you always end up with five tiles in your rack. play continues clockwise. On your turn, you can spend stones to play extra moves or exchange tiles. 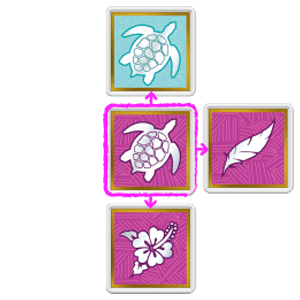 To earn a stone, place your tile so it matches the color or shape of more than one tile already on the board. The more tiles you match in a single move, the more stones you earn, as shown below. 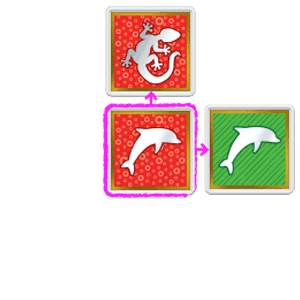 If you have more than three sunstones at the end of a turn, the extra stones must be discarded. 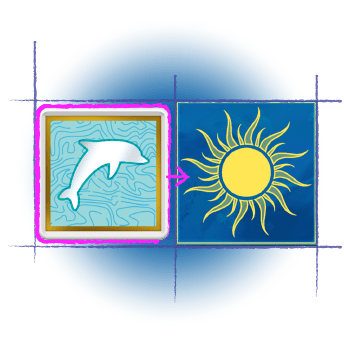 Wind tiles may be used to move a previously played tile up, down, left, or right to an open adjacent square. The tile you move does not have to match adjacent tiles. After playing a wind tile, discard it, and make one additional move. Three sunstones can be exchanged for a discarded wind tile (if you have space on your rack). 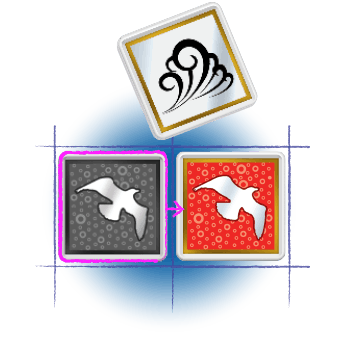 in four-player games, reduce the cost of buying back a wind tile to two sunstones. When you play a tile on a sun square, you earn one sunstone. Using a wind tile to shift a tile onto a sun square doesn’t count. 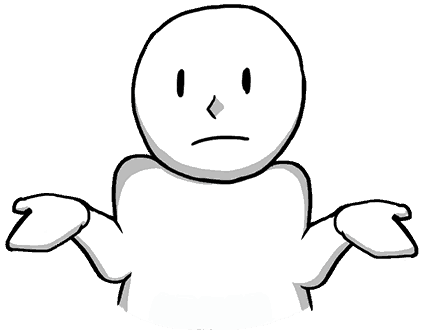 You win by being the first player with no tiles left in either your pool or rack. 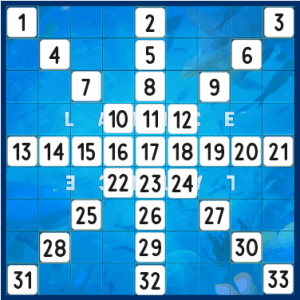 If all players are forced to pass, the player with the fewest remaining tiles wins. 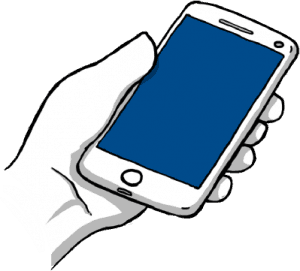 EASY TO PICK UP…HARD to put down ! different up to deal with and no two games are alike…so we never get tired of it. You can play in teams or you can combine two Latice sets and place the boards side by side. Distribute the tiles evenly and use Fast Start (above) on both boards to get things started. Play proceeds as usual with players free to play on either of the two boards. and watch as they have fun matching colors and shapes. Use the timer to limit each player’s turn to no more than one minute. when the timer runs out they should stop and draw tiles. Or you can play two player timed matches with a chess timer. 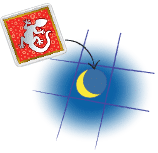 Draw nine color tiles and place them in an X formation with the moon square at center, as shown below. 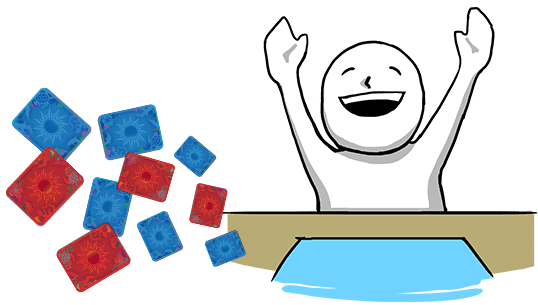 Distribute all remaining tiles starting with the first player. Each player starts with one sunstone. Draw 21 color cards and place them in an star formation with the moon square at center, as shown below. Distribute all remaining cards starting with the first player. Each player starts with one sunstone and one halfstone. Draw 33 color cards and place them in a large star formation with the moon square at center, as shown below. Each player starts with two sunstones.